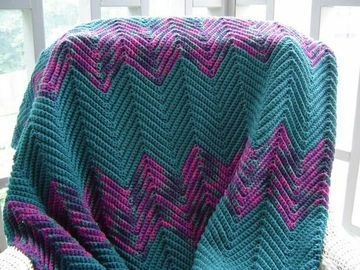 This is such an easy pattern! 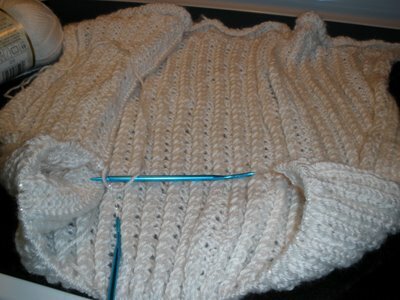 The ribbing is done with 2 twisted stitches: knit second stitch on left needle (leave on left needle), then knit first stitch on left needle and pull both stitches off. 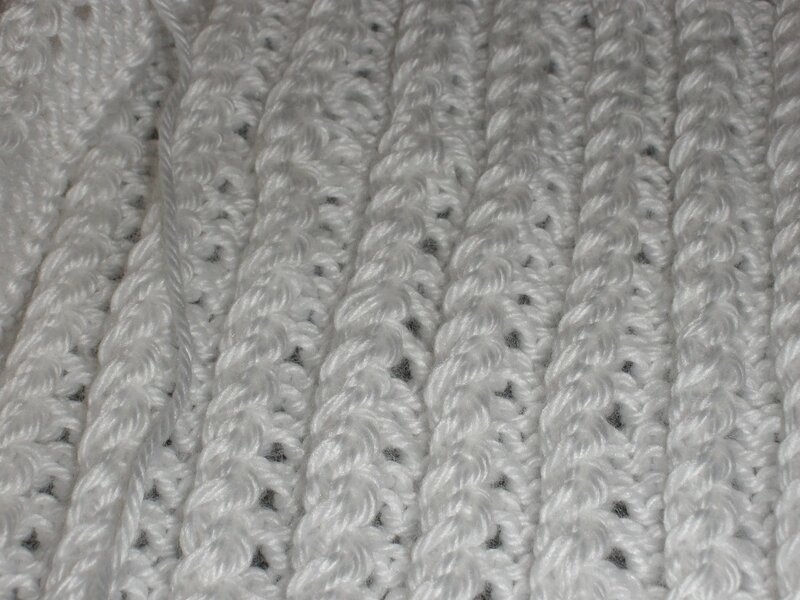 On a bed of 3 purl stitches. The border is a lace patter over 7 stitches. I got this far after 1 month! 2/3 rds more to go! When is it gonna be finished? (deadline: Nov. 8, 2008). Earnestine made this gorgeous set! What’s more to say here – perfect! 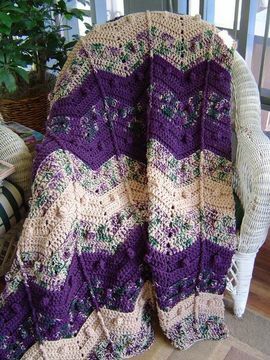 Another beautiful Afghan. 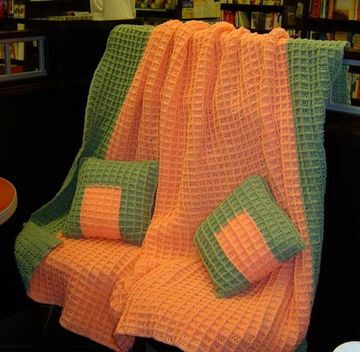 I am so envious of the group members who crochet these afghans. And they are so fast! Personally, I think this is the best afghan Dan has churned out! I love the pattern and the color combination. Exquisite.